INDEC registers ‘unexpected’ 11.5% contraction for September – the biggest fall seen in 16 years. Experts, who were expecting a single-digit decline, express concerns. Hit by the economic recession and the recent devaluation, industrial activity plunged 11.5 percent year-on-year in September – the biggest drop in 16 years. 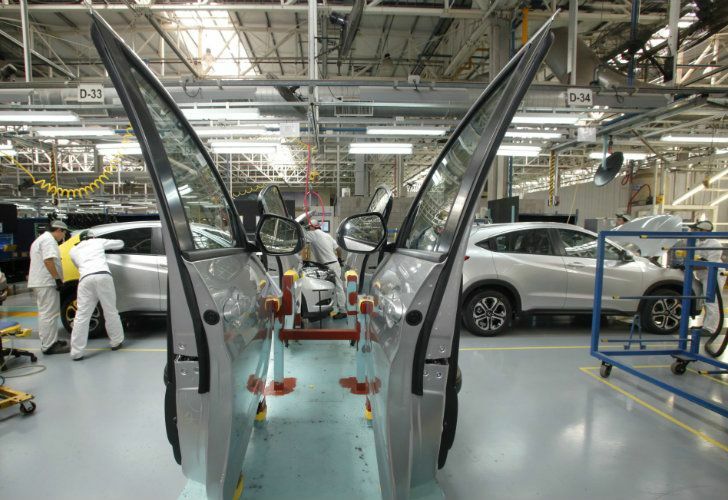 The INDEC national statistics bureau said this week that manufacturing witnessed a fifth consecutive month of decline, following drops of 1.2 percent in May, 8.1 percent in June, 5.7 percent in July and 5.6 percent in August. It’s the biggest contraction since July 2002, when Argentina was gripped by an even deeper economic crisis. Increases were only registered by steel and aluminum producers, which recorded a rise of three percent, year on year. All the other sectors saw deeply negative figures, influenced by the drought, the drop in consumption, the high inflation and interest rates and the devaluation. Although a continuation of the negative figures was expected by analysts, the two-digit decline came as a surprise to most observers, who had estimated activity would shrink by around eight percent. “We weren’t expecting a two-digit drop. The outlook of the industrial sector is not favourable. There’s a drop in domestic demand, high interest rates that affect companies’ funding and the recent devaluation,” Lorenzo Sigaut Gravina, chief economist at Ecolatina consultancy, said. The figures came from INDEC’s Month Industrial Estimator (EMI), which shows that so far this year industrial activity has fallen by 2.1 percent in the first nine months of 2018. Textile producers registered the biggest decline, down 24.6 percent, with printing down 21.6 percent and rubber and plastics production falling 20.4 percent. 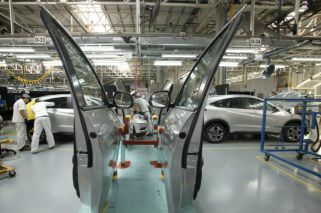 The automobile industry saw a 15.7-percent slump. Following the decline on other sectors, oil production dropped 11 percent, alongside a 20.5 plunge for the metallurgical sector and a three percent decline in non-metallic mineral production. The food industry also dropped 3.2 percent, mainly due to a 8.8 percent decline in grain and oilseed grinding. Construction activity also fell 4.2 percent, compared to the same month last year, the worst year-on-year decline since February, 2017. However, so far this year the sector as a whole has risen 6.4 percent, compared with the same period the previous year. Drilling down into the different parts of the construction sector, sales dropped 13.8 percent in lime, 10.6 percent in concrete, 9.4 percent in bricks, 7.4 percent in paint for construction, 5.4 percent in floors and 3.5 percent in ceramics. “It’s the worst drop in a long time. Vehicle and non-metallic mineral production were the two sectors that were doing well in previous months but now not even those two had positive figures,” said Gabriel Caamaño, an economist with the Ledesma consultancy firm. According to a report from the LCG consultancy, the decline in industrial activity led to 4,162 workers being laid off in August. Between April and August, an average of 4.000 workers were dismissed per month – a figure close to the worst months of 2009 – the firm said. As part of the EMI report, INDEC asked industrial companies about their perspectives for the last quarter of the year and 60.7 percent said they expected a drop in domestic demand, while 30.5 said the scenario will remain stable. Meanwhile, 54.7 percent of those surveyed among exporting firms said they don’t expect major changes until December, while 28.6 percent said they expect an increase in the activity. Overall, 64.3 percent of the industrial companies said they don’t expect changes in their staff during the rest of the year, while almost 30 percent said they expect layoffs to occur in their companies. “The worst consequences of the economic recession are yet to be seen. We may see another two-digit drop in industrial activity in the last quarter of the year,” Sigaut Gravina said. “The end of the year won’t give any good news. We expect domestic demand to continue declining”. A recent report by the consultancy Kantar WorldPanel said that consumption in July, August and September dropped two percent compared to the same period last year. The agency said the year is likely to end with a 1.8 percent decline, set to continue in 2019 with a 2.1 percent drop. Incomes will suffer a drop in purchasing power of up to 17.7 percent this year, according to a report released by the Political Economy Centre (CEPA) this week, which also concluded that retirees on the minimum pension would suffer a fall of 12.1 percent. The decline in purchasing power could reach up to 14.206 pesos when compared to 2017 and up to 20.246 pesos when compared to December 2015, according to the report – which was based on the wage-increase agreements of unions such as trade, construction and government officials. Even with the decision of some unions to re-open the wage negotiations, it won’t be possible to recover the level of purchasingpower that has been lost this year, according to CEPA.